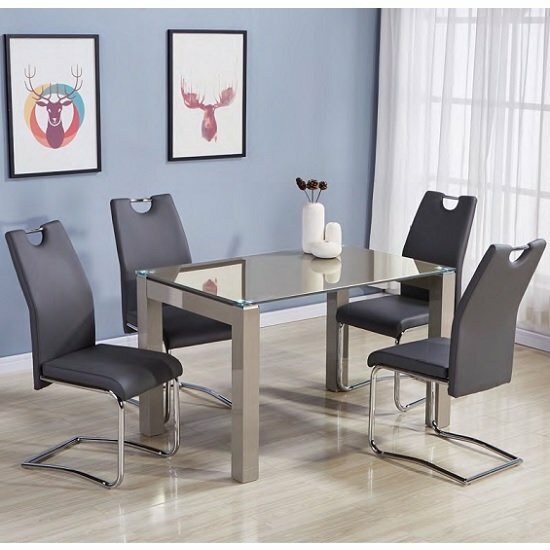 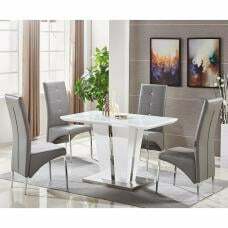 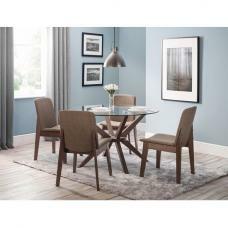 Kelson Glass Dining Table Small In Latte With 4 Grey Chairs, This beautifully styled and well designed piece of dining room furniture will go perfect with every type of home furnishing. 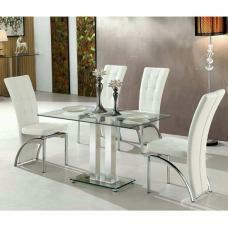 Made of tempered glass with wooden base in latte colour finish. 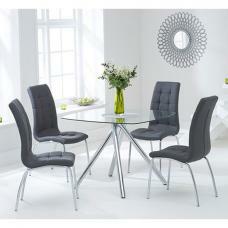 Chairs are made of Grey faux leather and chrome legs. 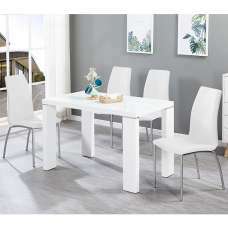 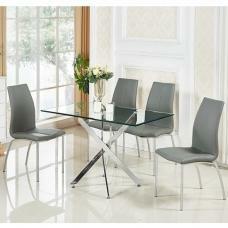 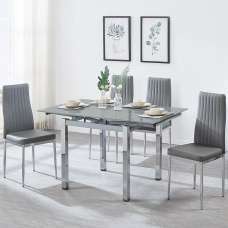 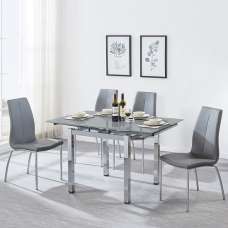 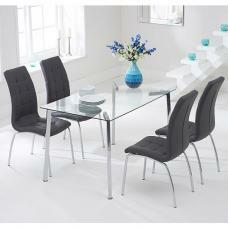 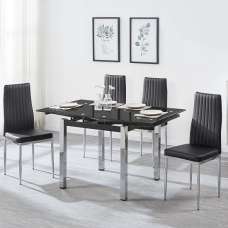 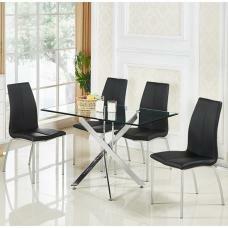 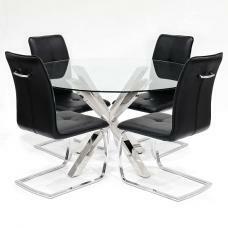 It includes 120cm dining table with 4 chairs.